Simple, unstudied elegance without the fussiness of Amies’ conservative approach remains timeless half a century later with Connery and McQueen among those who set a template for warm weather leisurewear. Find your inner ‘60s maverick when developing a versatile ensemble for a beach getaway this season to show the world that classic style doesn’t mean old-fashioned… or expensive. Let’s go from head to toe. 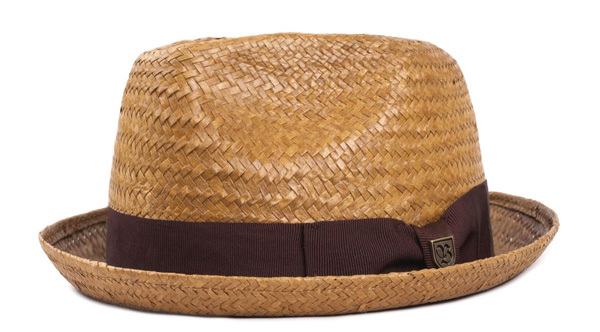 Stay cool and channel Sinatra with a short-brimmed straw fedora with a colorful grosgrain ribbon like this affordable range of genuine straw hats from Brixton with hats as low as $25.99. 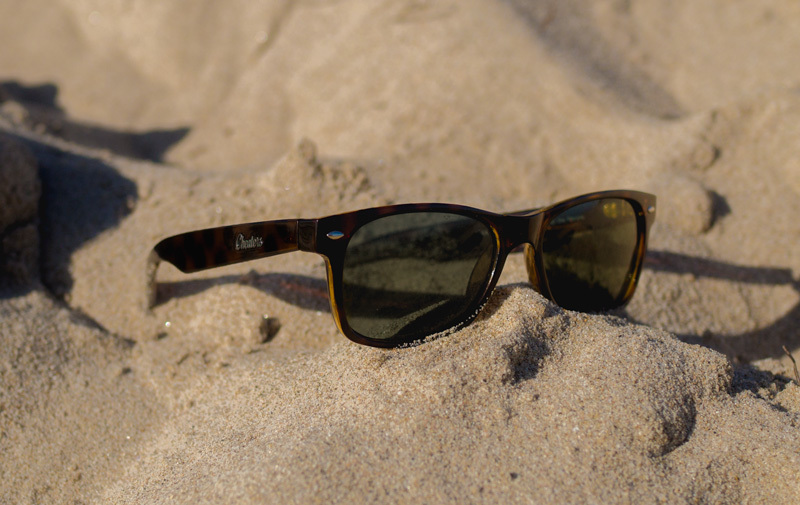 Polarized tortoise-framed wayfarers are the way to go, combining timeless appeal with under-the-sun comfort. Primer discovered these marvelous Gamma Ray wayfarers that, for only $11 on Amazon, no guy should feel guilty about sporting during a day in the sand and surf. Plus, the polarized UV400 lenses block 99-100% of the sun’s harmful rays. Not only do linen button-up shirts breathe better in humid weather, they also lend a classic sensibility that the bro in his American flag tank just doesn’t have. 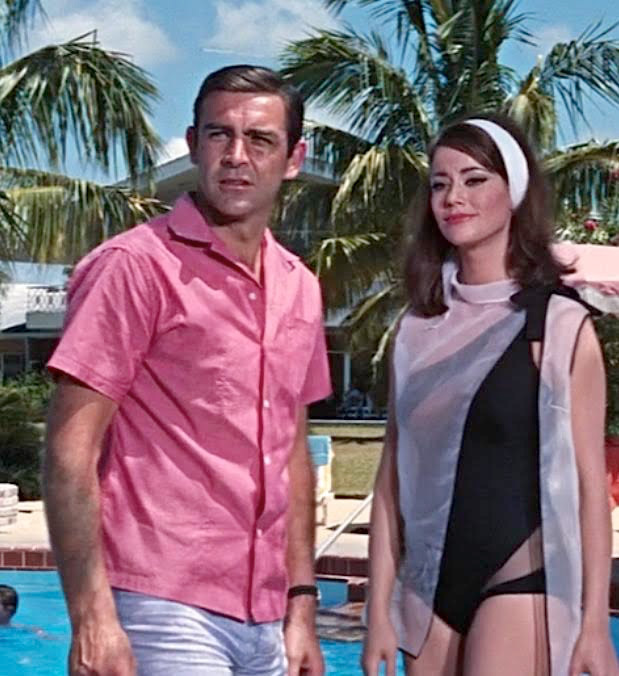 Connery and McQueen opted for bold mottled colors in Thunderball and The Thomas Crown Affair, respectively, and so should you. Linen blends are fine, but linen/cotton would be more preferable than the luxurious-sounding but tougher-to-maintain linen/silk blend. This short-sleeved linen/cotton Gap shirt in “summer coral” for $44.95 is perfect for classing up a summer day… and night. A day of revelry at the beach is no reason to miss happy hour at that bar on the boardwalk. A simple but durable timepiece like a Timex Weekender (starting at $24 on Amazon) secured to your wrist on a nylon strap will do the trick. 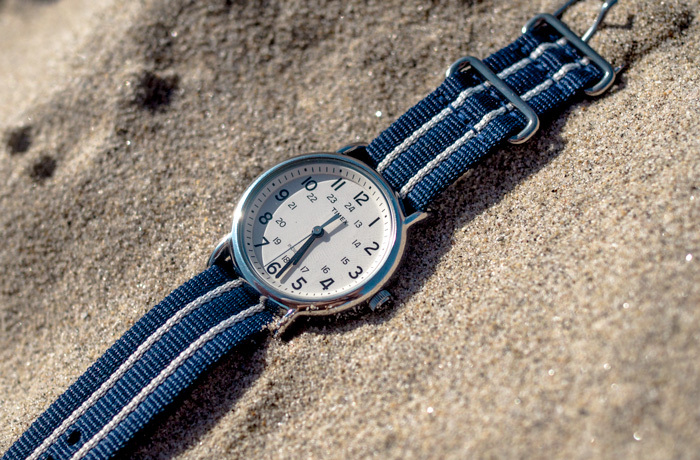 The NATO-style nylon strap is not only a great water-resistant option, it will also protect your wrist from the hot metal of the watch during a day in the sun. J. Crew offers striped straps for $12: the black, green, and red strap nicely echoes Connery’s Rolex watchband in Thunderball while the red, white, and navy strap is perfect for Independence Day reveling. Quick-drying swimming trunks are the best hybrid shorts for an unpredictable beach day with activity in and out of the water. The shorts should be trim-fitting and no longer than the knee, with my personal preference and comfort decreeing a length between my fingertips and the tops of my knees. Dockers Shore-to-Sea shorts, available on Amazon for $32 or less, incorporate details from casual shorts like pockets and belt loops for a hybrid short that will suit its wearer at the beach, on a bike, in a bar. For a slightly higher budget, you can spring for Frank Anthony trunks for $55, made from hydrophobic nanotechnology Swiss fabric designed to not only resist water but also resist bacteria and 95% of odor from absorbing, allowing for multiple wears without wash. Frank Anthony’s standard mid-length line are fitted with stainless steel side fastener buckles that evoke the classic, minimalist look of Connery-era Bond. 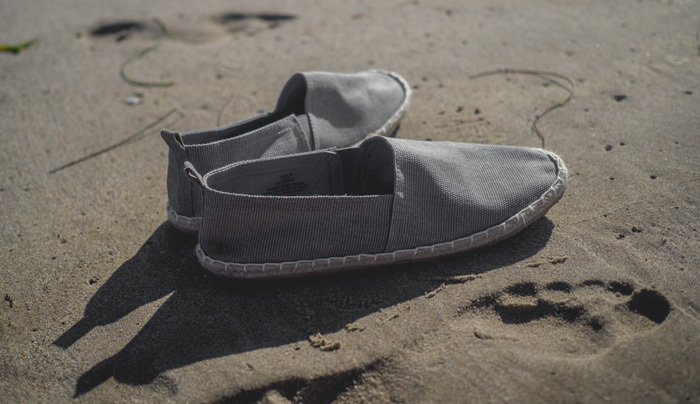 Leave your socks at home and grab a pair of canvas rope-soled espadrilles, the versatile sandal-meets-sneaker shoes that easily slip on and off in the sand. Not sure about Espadrilles? 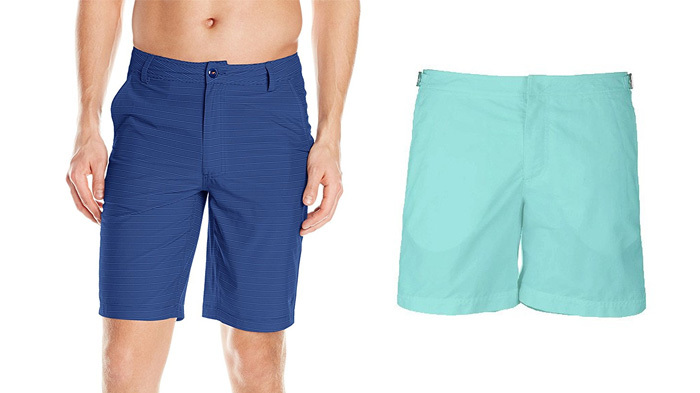 Give them a try with these budget entry-level options from H&M for $18. Ready for something that will last? Go for the Soludos that run between $35-55. 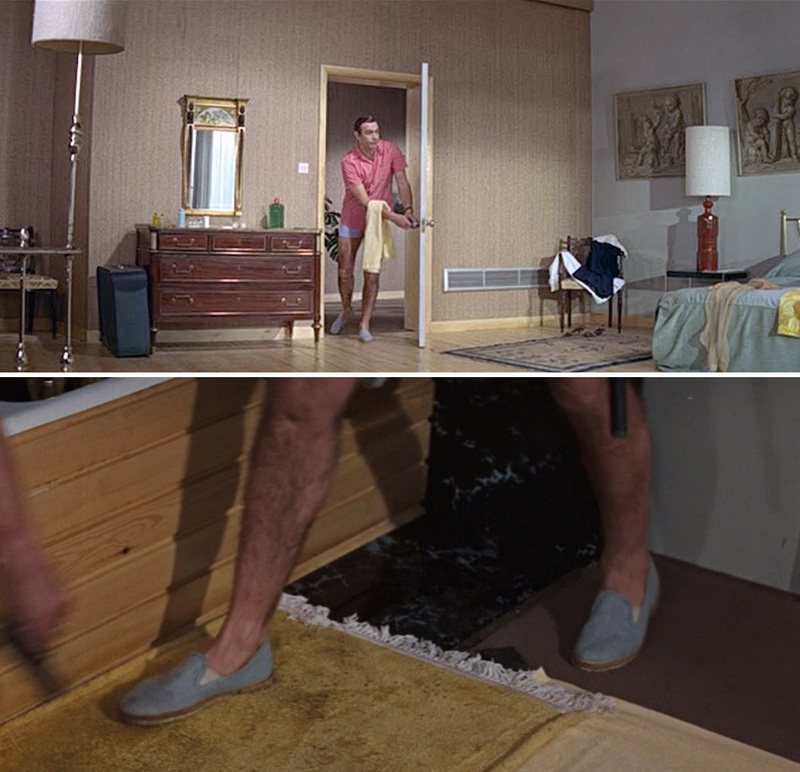 Soludos offers affordable espadrilles in the same light blue canvas as Connery’s Bond wore in Goldfinger and Thunderball. Depending on your foot size, you’ll only be paying anywhere between $33 and $55 for this time-tested, 007-approved footwear. You never know what kind of day it’s going to be, so bring along some lightweight layers in addition to sunscreen. A timeless Harrington jacket is effective and stylish for an unexpectedly rainy day or a chilly seaside evening. Linen pants will keep you light, airy, and fashionable. The light material weighs next to nothing and travels easily, and a drawstring waistband eliminates the need to pack a belt. You'll need a beach towel that doesn't undo the rest of your outfit. This handsome striped beach towel ($16) is large and thick and looks like it belongs to an adult. 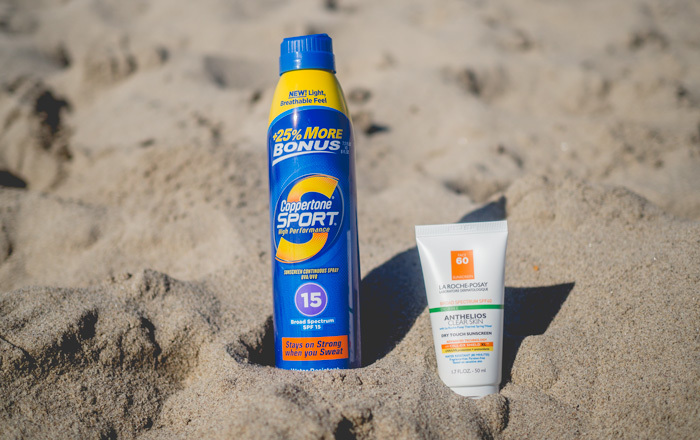 Coppertone's Sport Performance sunscreen spray is water-resistant and easy to apply – and reapply. Feel free to spray liberally; you’d much rather pay the $13 for than spend your night applying aloe to sun-crisped skin! Sensitive skin? For only $8.11, Neutrogena’s broad spectrum SPF 60 sunscreen will gently protect you from skin damage. Or upgrade to Dry Touch by Anthelios ($15) for an oil free option. Of course, you’ll need a stylish and durable method for carrying it all. At less than $20 on Amazon (link), this canvas Kenox weekender is just as affordable as the items you’ll be packing. 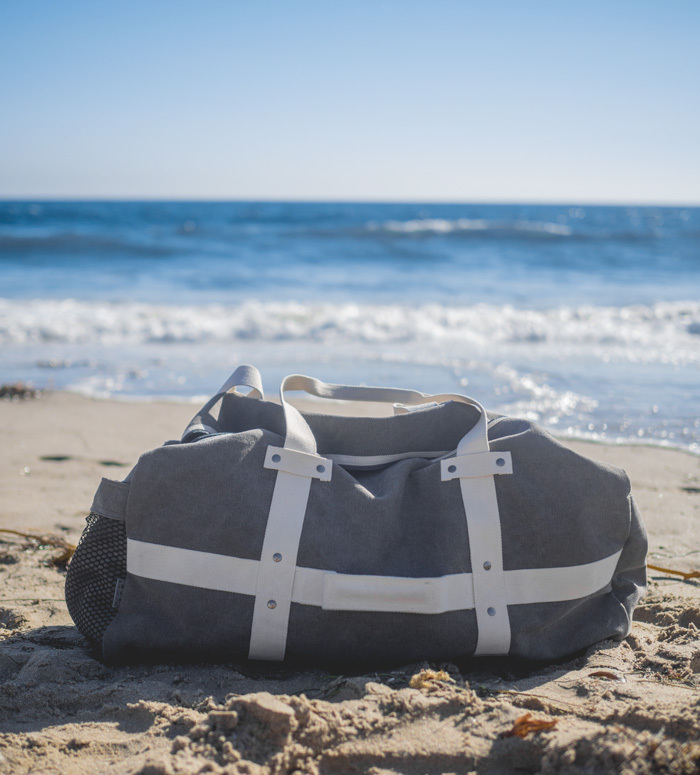 For more great options that will keep you in style while you’re out of town, check out Primer’s recommendations for the best weekender bags under $125. 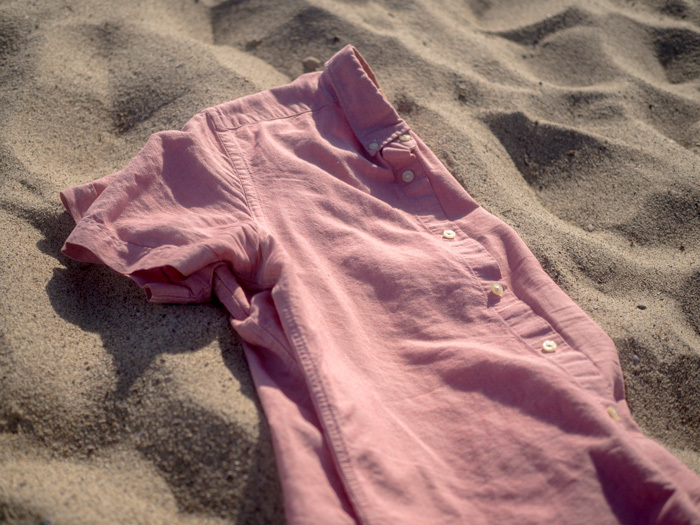 What will you be wearing at the beach this summer? I’m digging the retro tailored waist buckle trunks in a big way. Trouble is, I’m having a devil of a time finding them in solid dark colors at a reasonable price (under $75). All the affordable options I’ve found are in bright colors or tragic patterns and graphics. I’m too pale for that. Got and ideas or recommendations? Pleasantly surprised with the Bond references in this article! I’m planning for a destination wedding this spring to the Dominican Republic. My buddy from high school is getting married and will have a 5 day celebration and ceremony at a beach resort down there. I’m thinking I will need to pick up some inexpensive durable flip flops to wear around the beach and the pool but need some guidance as to what color brand and material to purchase. I have thought about a few pairs from Old Navy based on the low price but would like to have some advice as to what colors are okay to purchase or what other guidelines I should take into effect?